(CNS): Since coming to office the government has signed a number of MOUs with various private sector partners but so far none of the projects have yielded any concrete results. The government has put pen on a diverse range of possible public-private partnerships, from the cruise port to a health city, but so far none of the developments have started. This month the MOU the premier signed with China Harbour Engineering Company to develop the cruise port is due to expire, paving the way for what was expected to be a heads of agreement but so far there is no news on the status of the negotiations. Government entered into a preliminary agreement with Dart, known as the ForCayamn Alliance, which was also expected to turn into a fully fledged deal this month but as yet nothing has been signed. The government also signed MOUs with Dr Devi Shetty for a health city, with Cayman Enterprise City to develop a technology zone and with Ventech Ltd and Navitas Ltd to develop an oil refinery. Although there has been considerable opposition to some of the projects, such as the oil refinery, which the premier has blamed for the failure of these public-private partnerships to get off the ground, by and large there is considerable support for the development of the cruise port. More recently a number of sea captains have proposed that the South Sound would provide a more suitable location than George Town but generally the development of cruise berthing facilities has wide support from the community and in particular the stakeholders in the tourism sector. On Thursday at a special lunch hosted by the Department of Tourism at the Marriott McKeeva Bush gave an update on the state of Cayman’s tourism industry and spoke only briefly about the port, giving no indication of the current status of talks with CHEC. Although he said the country had known for several years that if “we did not get our act together” and develop the infrastructure for the new class of cruise ships, cruise arrivals would suffer drastically, but he did not say when the berthing facilities were likely to start. “We have tried to take steps to develop cruise berthing facilities and many of those were opposed. That is a well-known part of the history of our efforts for a new cruise terminal,” Bush told industry stakeholders. “In light of the further decline in arrivals projected for 2012, my government and I are fully cognizant of the need to develop cruise berthing facilities and we are working hard to secure the best deal possible for our islands. I have started the process and I can assure you that I will get it done,” he said, repeating comments made on a number of public occasions recently. With no news on the port, there has been little news recently on any of the other preliminary agreements or deals signed by government. CNS understand that government is still continuing to negotiate with Dart on the various proposed projects under the ForCayman Alliance, which includes the relocation of the George Town dump as well as the Esterly Tibbetts road extension. Several months ago the local partners involved in the development of Shetty’s health city announced that the project would be located at High Rock in East End on land owned by Joseph Imparato and previously proposed as the site of a commercial seaport. Since that announcement however, there has been no further news on the status of that land purchase. Although the laws have now been passed regarding the special provisions for the Enterprise City, that MOU remains under wraps and the location of the technology zone has still not been revealed. CNS made an FOI request for a copy of the document but it was refused. Since the premier signed what he described as a ministerial MOU with two companies regarding the possibility of developing a high tech specialist oil refinery in Cayman in June there have been no further comments from government on this issue. Last month representatives from the committee working on a national energy policy for the country revealed that they were not recommended that government go ahead with the idea of a local refinery. CNS Note. The SEZ law has not yet been gazetted. So it is not yet the law of the land. It will be all sorted. The just haven't paid the second instalment of their consulting fees yet. Mac, I see you liked your last order of failure so much that you made it a standing order! Good thinking, considering how much failure is needed with you being premier. Anyway, between this and you being called to the UK to answer for your clusterxxxx of a premiership, I suspect they’ve double-shipped this month’s supply of failure for you. Hopefully you’ve still got that massive appetite for it though, as you can’t return it. Bon appetite. CEC is happening, and a good thing too. They have just stopped talking about it, since every time they tried to publicise their plans the negative reaction from the hard-of-thinking on this and other blogs put off the companies they are persuading to move here. Old Mac also had a farm hand called EI-LL-I-O. What we lack is enforcement. Who is going to enforce these MOU's and ensure it get done or there is penalty or atleast the government is reimbursed for all the consulting time (we would have made more money on consulting). The lack of enforcement is the prime cause of all the problems in Cayman. Why so many Caymanians are unemployed because we lack enforcement – employers know how to get around the system and guided by the so called job agencies. Planning has an enforcement officer who enforce only the ones he wants. What a BS. Police force is another BS. The list goes on. If the Premier take some break and start enforcing some of the above we will have most of the problems solved. So dont worry……. be happy……… start enforcing!!!!!!! you will have a better chance of getting re-elected. As we have discussed over and over again the Governing model that Bush uses has failed. Creating projects which benefit the few cannot be the Governments focus. Cayman needs leaders that will lead and Govern the country for all the people. In "other" countries when some one fails to perform they are fired, let go. terminated, etc. Here they get a raise and more power. And the recent US government bailouts don't come to mind? You are simply wrong. Its _government_ which does this, whether in Cayman or any"other" countries. The MOU's have all amounted to zero, zilch, buffalo-compost? I did not see that one coming! Forget MOU's. Can some young Caymanian Entrepreneur sell foreign phone cards locally? The market is essentially the entire Digicel / Cable & Wireless roaming fees. I have spent $1,000 on roaming so far this year. Times 500 people thats $500,000.00 and I'm sure more than 500 of our 50,000 people roam. Have you not seen the Emperor in the new 'Mao Tse Tung' outfit that he brought back from China? Being fully cognizant of the need for better berthing facilities AND actually doing something about it, is two different things, Mr. Premier. I'm actually pretty glad nothing has come of most of the MOUs signed. Its been a mess from the start. To quote the Premier: 'I am disturbed, but not suprised'. CNS….I swear I did not make this up….Big Mac says "I am disturbed". Is that enough to have him placed in a padded cell? I really believe we should not have DISTURBED people in our LA much less running the show. Can we??? Just because the Emperor has no cloths does not mean that it is OK for anyone to state the obvious. Get with the programme people. It is outrageous that anyone notices that the MOUs come to nothing. It was not part of the strategy for anyone to notice until after May 2012. Everyone that is now saying that the MOU's amounted to nothing were the same people marching, protesting, petioning and blogging against them . What did you expect? Nothing is what you wanted and nothing is what you will get. I hope air pie and breezy cake fill your belly. I sure hope so because we certainly get enough of both of them. Its no surprise. None of the projects got supported. It was; Dart is the Devil, Imparato is the devil, Shetty is the Devil, CHEC is the devil, CEC is the devil, Ventech is the devil. A few hundred people moan and groan against it, protest and walk the streets against it, sign petitions against it, blog day and night against it and eventually all the simpletons win out and nothing is done. What did you guys expect would happen after page after page after page of posting negativity about each of the above projects? Public support drops and nothing is done. Thank you CNS bloggers. Congrats. You have helped done us in. You have helped scuttle the good ship Cayman. CIG has yet to show any proper analysis for these idiotic schemes. Any developer could walk off road and sell any idea to Mckeeva, who negotiates MOUs alone over dinner and drinks. Every developer promises "thousands of jobs for Caymanians" but when or if this does not materialise, theres no loss to them. The Shetty MOU is another example of this stupid, selfish practice. 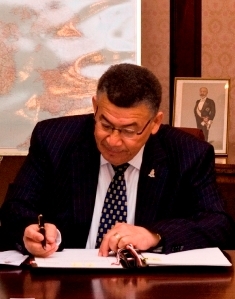 The CIG gives CI$2 BILLION in concessions to Shetty for up to 100 years in customs duty, stamp duty, work permit fees and free travel on CAL – http://sites.google.com/site/cppicayman/ – Shetty is guaranteed unlimited work permits and key employee status plus CIG pays to install utlities and water lines for entire project (Hospital, a University and Residential Facilities). And if Shetty dont deliver on his promise, it dont matter cause he has made his money and government changes in 2 years anyway. Seriously, I was quite disturbed by this article and analysis, which clearly set out a number of fundamental flaws with not justthe Shetty MOU but with our approach to development of our country. This is a completely subjective artical and is probably written by either a lawyer who dislikes the Malpractice limitations or a doctor who fears he may actually have to charge a reasonble price now for his/her services. I would move to attack the artical but it's minced with some facts and shrewed with some speculations that are completely unfounded. I would give you the example of the "possibility of the hospital creating a hotel" which is covered I believe adequately in 1.4 a of the MOU. This being said the whole 1.9 is a pile of rubbish. The CPPI claims to be politically neutral but the report is obviously not. While I dislike UDP I do not attack their ideas because it is their ideas, I attack them when they are dumb. This one while it's not without us giving up a fair amount it has it's positive angles also. This site does not seek to show this. It projects high skepticism on these aspects of the project as if Shetty was the Devil incarnate. I woudl ask readers to read it with an open mind and take it with a whole lot of salt cause it's quite onesided. "This is a completely subjective artical and is probably written by either a lawyer who dislikes the Malpractice limitations or a doctor who fears he may actually have to charge a reasonble price now for his/her services." the fact that you cant spell a 7 letter, commonly used word like 'article' makes it difficult to accept your 'analysis'. CEC did not face any real criticism. Yes there were some sectors wanting breaks also. There will always be those. Shetty only faced criticism from Doctors and Lawyers really. Most of the Cayman community welcomed it with open arms. Of course we have paranoid people which society doesn't really. Now Oil Refinery is a pile of crap and we were UNANIMOUSLY against this. This is another hair brained scheme like only our Premier can bring up. Well Cohen comes to mind. CHEC just smells the high heavens. It's not that we don't want or need the berthing. I believe we all agree it is needed and wanted but it's your precious Premier who's messing around. He had a builder who would have been far along on the project now until he decided to give it to his buddies at CHEC breaking agreements and disbanding the board along the way. This lead us all to say HUH? What the hell are you up to Premier? Then we hear that CHEC has been involved in legal issues about paying off officials and we say HUH? What the hell are you up to Premier? Then we hear about CHEC in Jamaica doing all kind of crap and well you guessed it right HUH? Dart in general is not a bad guy but we are fearful at how this whole thing could end up as. The man soon will own us. He's gobbling up business, property and anything he can get his hands on like a mad man. What we don't know is what his gameplan is. We are almost afraid to ask. And trust me he does have one. Let's not talk about his support for the Cargo Port which only him and the owner thought was sensible. Or did you also? If so we now have 3 supporters. Just before you go bleeding from the gums you might want to take your shoe out of you mouth to allow some oxygen to get to you brain first. We in Cayman are not against inward investment but we are against inward investment that compromises our Islands. They can pick up and leave but we will be left with the damage they did. Thank you very much for very clearly demonstrating our dire need for practical and realistic projects to boost our economy, and for a government that is capable of producing them. Anyway, the Premier made it clear that the MOU's and his plans would go forward regardless of the opposition because it was what was right for Cayman. It is and was clear that "public support" played no part in whether or not these projects would happen. Now months and years down the road, NOTHING HAS HAPPENED. This is not due to any lack of public support. This is due to inactivity and incompetence on the part of the Premier and his government. The complaint now is less about what McKeeva Bush said he would do and more about the fact that he has done nothing. In a logical world: you cannot claim you will do something despite what people say and then claim nothing is being done because of what people say. One of those statements must be a lie. So its all the CNS bloggers fault? Really? Blaming others, calling many people the devil, takeing no personal responsibility, totally againstfree speech and CNS specifically? Did you just get back from an all expenses paid first class trip to China? If so your welcome. Lets all pitch in and buy a ticket for Big Mac to China….ONE WAY. Dare I ask….should I….Is this you? I mean there is only one man I know who has a black belt in blaming others….CNS shouldn't he have just used his name? Ooh let me guess….he reshuffled your board?…or wait maybe his information did not check out? Trouble is, the "gowerment" are now forced to rush to pull at least one thing — anything — out of the bag before the next election, and it's the rush that is likely to lead to poor choices of contractors, inappropriate contracts, and failed projects. Looking at the evidence, China Harbour may prove to be a poor choice of contractor for the GT port project. I see problems in the future. UDP have to make this right. Understand, they just can't make agreements and start whatever project that is appealing to the public. There has to be investigations made first. Imagine starting the North Sound dredging, the East End Sea Port (a quarry), or an Oil Refinery without considering the repercussions. They have to make this right for Cayman. Perhaps most of these MOU's have so far failed because of the lack of public transparency in their creation and the constant suspicion that political self interests are already in the mix. Something is clearly very wrong in Cayman when we see so many people feeling the need to demonstrate publically in the streets and sign petitions. its all smoke and mirrors……. nothing has be done in the last 2 and half years….. Smoke and Mirrors…….Smoke and Mirrors………?